Skye organically tanned, high-performance leather, available in nine colours. In its on-going endeavour to reduce environmental impact, Bridge of Weir has pioneered organically tanned leather production. The companys new range, Skye, is fully biodegradable and sustainably made from a renewable resource. It is the latest advance in organic tanning, reflecting the companys environmental awareness and emphasising its determination to work in harmony with the natural world. This is a natural, full-grain material, benefiting from techniques and processes that Bridge of Weir has pioneered. It is a remarkably soft and supple, heavy-weight, high-performance leather, suitable for a number of applications. This new range uses the latest technological developments, but is grounded on a traditional skills base and the experience of a century of changing practices and social demand. 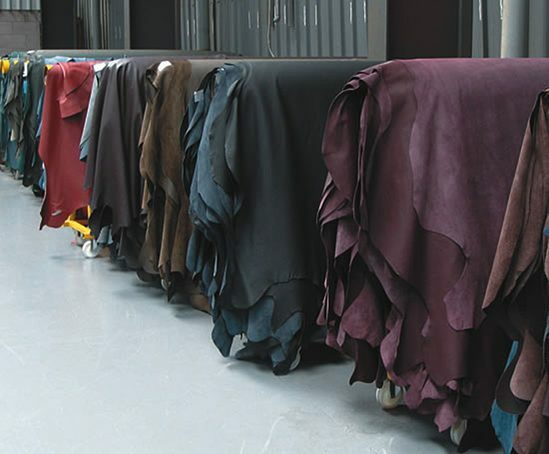 The leathers in the Skye range are manufactured to a thickness of 1.3-1.5mm, are referenced by SK codes/numbers and comply with the following specifications: BS 6608 Grade SD/L, BS EN 1021 and Ignition Source (crib) 5.